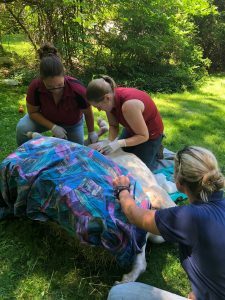 If you are in need of equine veterinary services in Eastern Pennsylvania or Central New Jersey, look no further than Cross River Veterinary Service. We offer complete care for your horse at your location. Field Surgery available for most routine procedures such as: castrations, tumor removals, wound repair, and standing enucleations.